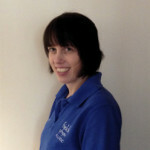 KAREN FIELD, is the senior Physiotherapist and Practice Principal at Fields Physio Clinics. Her areas of expertise include treatment of neck and back injuries, joint problems and soft tissue injuries, including Sports Injuries. A graduate of Kings College Hospital London, Karen specialises in rehabilitation using manual skills, Massage, Acupuncture, Electrotherapy and posture correction. She is a chartered physiotherapist (MCSP), holds certificates in Acupuncture (AACP), and is a member of the Health Professional Council (HPC). Karen qualified as a Pilates instructor from the Pilates Institute in 2001, and has worked as Spine Specialist for the RAF/Army rehabilitation centre. Karen has a leading clinical role within Fields Physios , with her own caseload. Her approach is to assess each client, and individually tailor a program of physiotherapy treatment. This may lead to Pilates, in order to maintain the progress made through Physio treatment. A carefully structured program of Pilates works by progressively strengthening the body to restore full fitness. 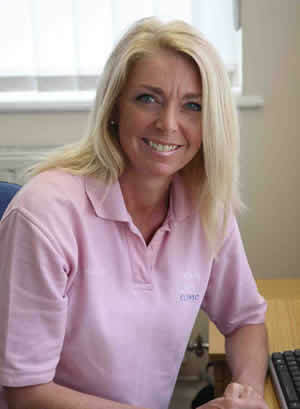 Karen has extensive experience in the treatment of sports injuries. She will make a detailed examination of any training program, to ensure that the cause is identified, thus preventing the injury from returning. Being a keen runner and sportswoman she is particularly understanding of the sports injury client. MIKE JONES is a senior physiotherapist, having previously worked in the NHS for 7 years, during which time he was part of a team developing a back specialist service, he has also worked for Fields Physio since September 2013. Mike has an MSc Physiotherapy degree and a BSc in Physiological Science degree, he is a qualified Acupuncturist and member of the AACP and has completed his matwork level 1 Pilates foundation course with the APPI. Mike has a particular interest in back pain and Sacroiliac joint problems. He is a keen rugby and football player, and also enjoys gymnastics and snowboarding. JOY CONNOLLY is an experienced Personal Trainer and can offer individual training programmes designed to help you achieve your personal goals. She also offers fitness assessments, weight management and nutritional advice. One to one fitness sessions, both indoor and out that are suitable for all age groups and abilities. Call Joy now to discuss a personal programme to suit you. Joy is also a qualified Pilates instructor able to teach beginners through to advanced level. 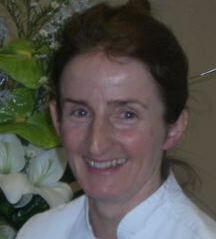 BRIGHID ROWE MICHT, specialises in combating stress related physical aches and pains through holistic therapies. She has a deep understanding of the causes of stress from her years in management and is able to bring this experience to her therapy. Brighid finds that an initial consultation, followed by an appropriate treatment, is the best way to determine your specific requirements in order to address them successfully. As an active sportswoman herself she has empathy with those post exercise strains. Brighid is able to offer: Aromatherapy, Reflexology, Indian Head Massage, Reiki, Hopi Ear Candles and Theraputic Massage. KERRY has a keen interest in health and fitness and worked in the fitness industry for many years before qualifying as a physiotherapist. She enjoys mountaineering and horse riding in her spare time. STUART WALKER is an extremely experienced Physio offering Manual therapy, Acupuncture and specialist rehabilitation drawing from his wealth of knowledge that he gleaned from working within the Professional Sports Medicine field over many years. ADAM LAWRENSON sports massage and exercise therapist. 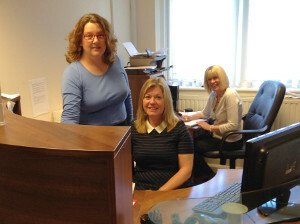 SUE, SALLY and LINDSEY are our Receptionists who are here to put you at your ease, answer any queries you may have regarding your billing and payments and to help book your Appointments.